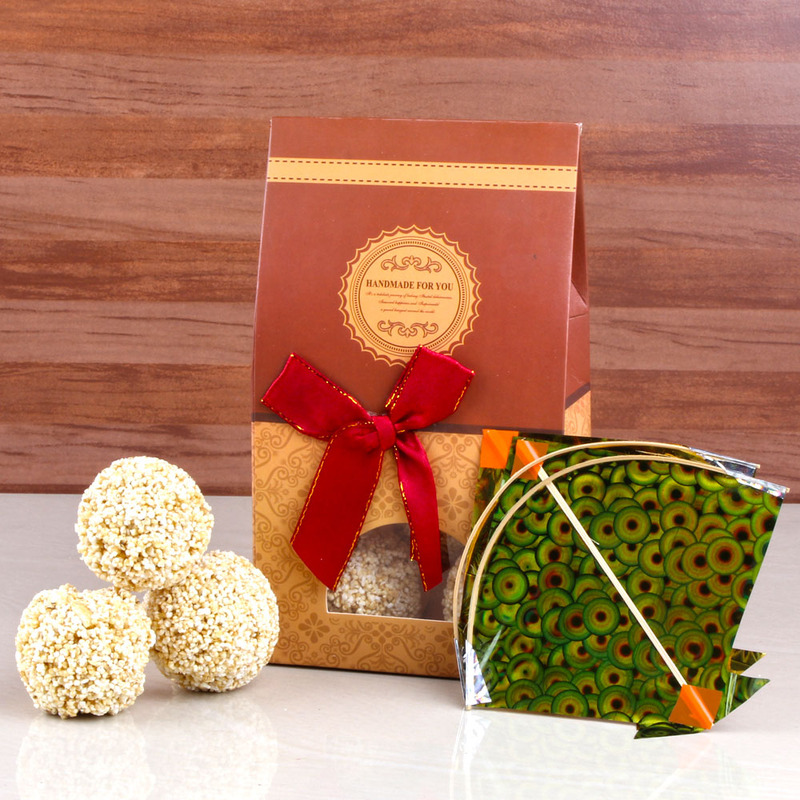 Product Consists : Rajgira Laddu (Weight : 300 Gms) along with 2 Small Kites (Size : 3.5 Inch each). 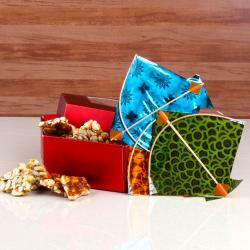 Makar Sankranti is one of from those festivals, which is celebrated all over India in various ways. From this day, the northward movement of the Sun begins. 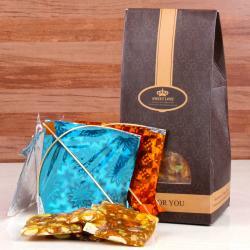 Chikki is good for snack as these healthy candies provide nutrition and also fill the stomach. Chikkis has positive impact on health due to its high nutritive value. This tempting sweet is a perfect treat to present to your relatives or dear ones as per your tradition rituals for Kite Day Day, Makar Sankranti, Uttarayan, Pongal. Besides, these chikkis come neatly packed in a gift box, which retains its freshness as well as makes the gift very appealing. make them feel special. 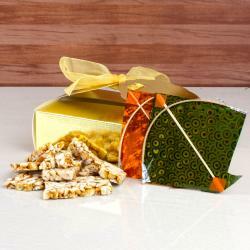 Giftacrosssindia bring to you a mind-blowing collection of Kite Day day like Rajgira Laddu with Two Small Kites. Check out our Gift shop that will help you to choose the best festive gift for your loved ones. Browse your favourite products, it is very conveniently available for online shopping from anywhere in India with Free Shipping. 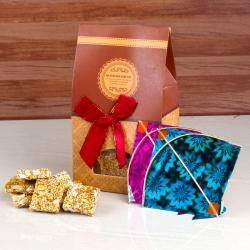 Product Includes : Rajgira Laddu (Weight : 300 Gms) along with 2 Small Kites (Size : 3.5 Inch each).